[On Decmeber 7], 50 years after his death, many people still remembered Ernesto “Che” Guevara as a warrior for social justice. For so many celebrities, politicians, and activists, Che Guevara is a kind of Good Samaritan who fought against oppression and tyranny. It is unfortunate, though, that these people ignore some of their idol’s defining character traits. Che Guevara was in fact an intolerant and despicable man. In the process of building a communist society after Fidel Castro came to power in 1959 in Cuba, one of the ideas Che Guevara presented and promoted was the notion of the “new man.” This concept grew out of Guevara’s aversion to capitalism, and was first explained in his note on “Man and Socialism in Cuba“. He believed that “The individual under socialism (...) is more complete,” and that the state should educate men and women in anti-capitalist, cooperative, selfless and non-materialistic values. 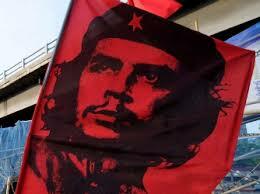 Che Guevara also helped establish the first Cuban concentration camp in Guanahacabibes in 1960. This camp was the first of many. From the Nazis, the Cuban government also adapted the motto at Auschwitz, “Work sets you free,” changing it to “Work will make you men.” According to Álvaro Vargas Llosa, homosexuals, Jehova’s Witnesses, Afro-Cuban priests, and others who were believed to have committed a crime against revolutionary morals, were forced to work in these camps to correct their “anti-social behavior.” Many of them died; others were tortured or raped.